Willi Opitz maintains a small vineyard, 8 ha in size, from which he fashions an eclectic portfolio of organic wines, ranging from dry to intensely sweet, utilising a multiplicity of grape varieties including Muskat Ottonel, Zweigelt, Welschriesling and Scheurebe, among many others. The sweet wines are almost unique, and not even the red varieties are excused this fate! What’s notable is that the method of production includes drying the grapes on reed mats. It resulted in the local authorities, who obviously have a sensible and pragmatic approach to such situation, adjusting the local regulations so that the exemplary wines were legally permissible under local wine laws! The most renowned wine in the range, Opitz One, is produced from Zweigelt, harvested in September, and dried on the mats for up to six months. It was just such a wine that went under a special label and was given to former president Bill Clinton. The Silver Lake range includes an organic Pinot Gris and Pinot Blanc blend, and the Zweigelt Reserve, which sees oak for up to twelve months. 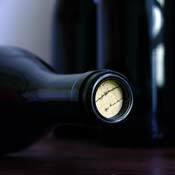 There are other dry cuvées in the portfolio, but it is the extensive collection of sweet wines that really electrify.